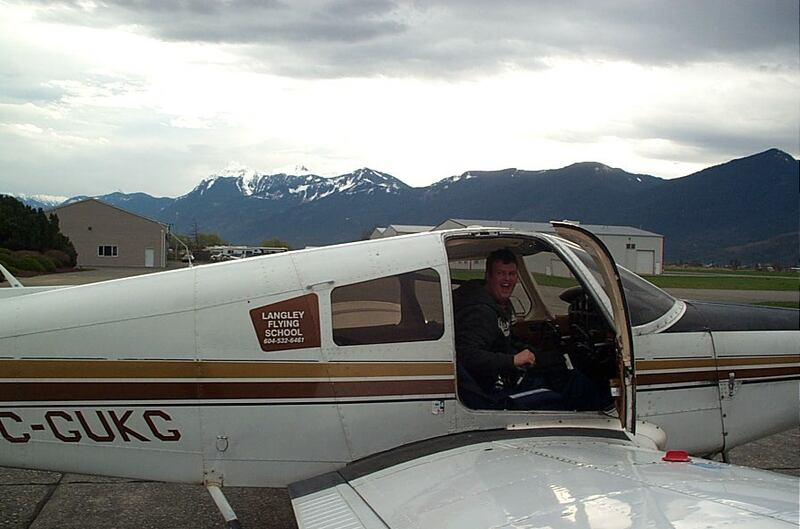 Nicholas Mufford in the Pilot's Seat of Cherokee GUKG. Oh Yeah!! 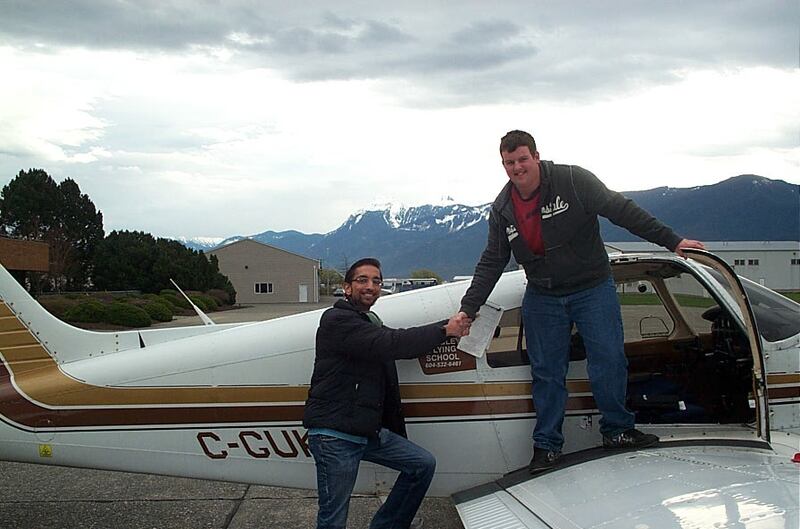 Nicholas Mufford receives congratulations from his Flight Instructor, Mayank Mittal, after the completion of Nic's First Solo Flight on March 2, 2010 in Cherokee GUKG. The event occurred at Chilliwack Airport owing to the airspace restrictions associated with the Vancouver Winter Olympics.